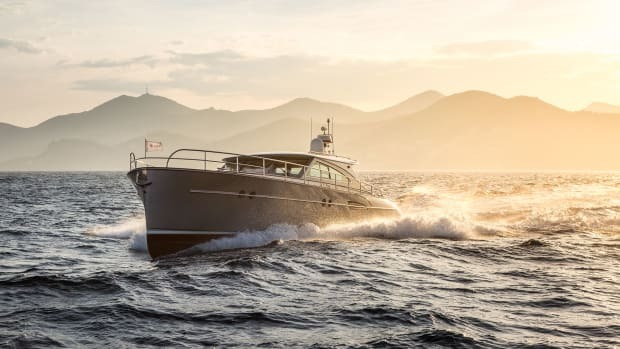 Cantieri Gagliotta may not be a household name in the United States, but the family-owned shipyard with a penchant for speed on the water has been building boats since 1952 in Naples, Italy. 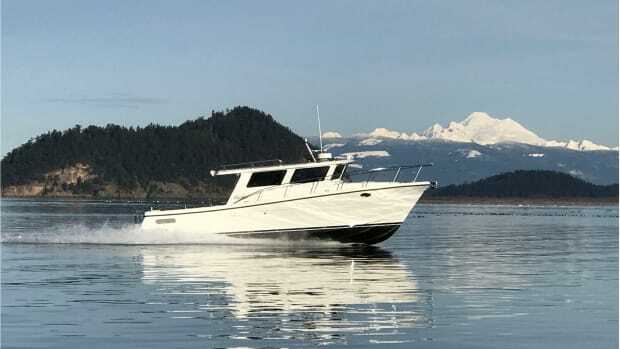 With its first foray into the U.S. market, the builder seems intent on making a splash with the Lobster 35, a contemporary take on traditional style. With Down East DNA, the 35 represents a new direction for the builder. 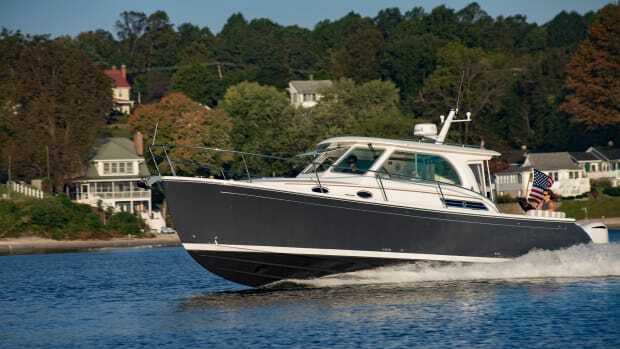 The handsome semi-custom daycruiser that was introduced to the U.S. in August 2018 brings a number of finely crafted features—at about half the price of some of its competitors. This mid-sized New England-inspired yacht from Europe is expected to retail for around $540,000. 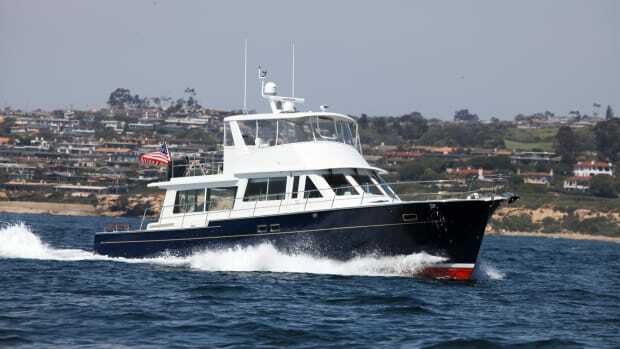 “The Lobster 35 was designed for someone who has always aspired to have a Down East-style boat but doesn’t want to pay $1.2 million for a dayboat,” says John Thomas of Springline Yacht Sales. 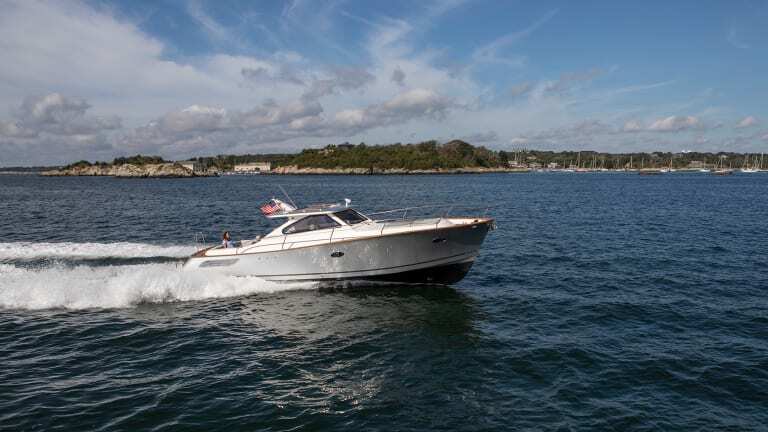 Currently the 35 is powered by twin Volvo Penta D4 260-horsepower common-rail diesels, though Gagliotta may offer different horsepower options in the near future. 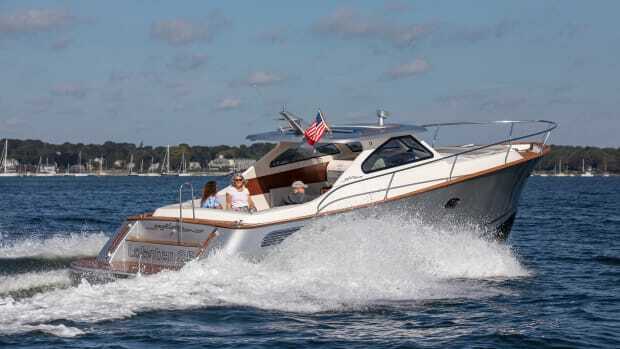 The engines push the boat at a cruising speed of 25 knots, burning about 12 to 14 gallons per hour; according to the builder the Lobster 35 tops off at 31 knots. Even at those higher speeds, cockpit conversation is comfortable. The exhaust is located under the swim platform, and a deadening, heat-retarding blanket around the engines mitigates sound for a quiet ride while underway. The cockpit area screams entertainment. Wraparound seating for eight at the table brings guests outside, where they can enjoy their time aboard in luxury. The table is on a piston and can completely disappear into the deck to optimize the space. The galley, with a two-burner induction cooktop, is also on deck, which makes hosting less of a chore as those involved in food preparation can be outside with the rest of the party. 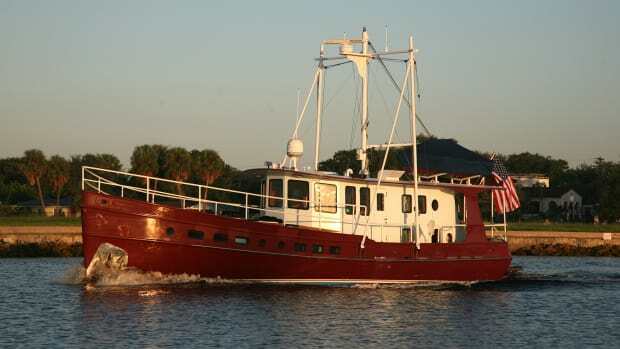 Belowdecks, the master berth and head allow for comfortable overnights or weekends in close quarters. 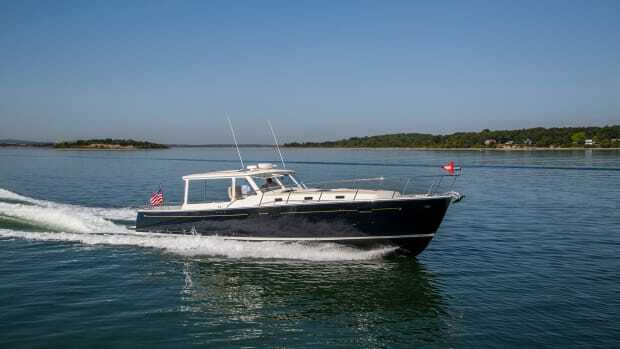 The 35 has a limited production of about eight boats a year, which allows the company to prioritize quality and customization. That’s not an exaggeration. The color choice, for example, is nearly unlimited; the company is not locked into traditional black, white or green hulls. 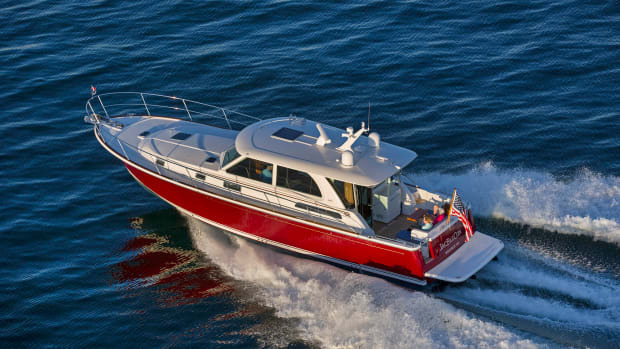 Although new to the U.S. market, Gagliotta has already built 20 of the Lobster 35s. The vessel certainly turned a number of heads at last year’s Newport International Boat Show.